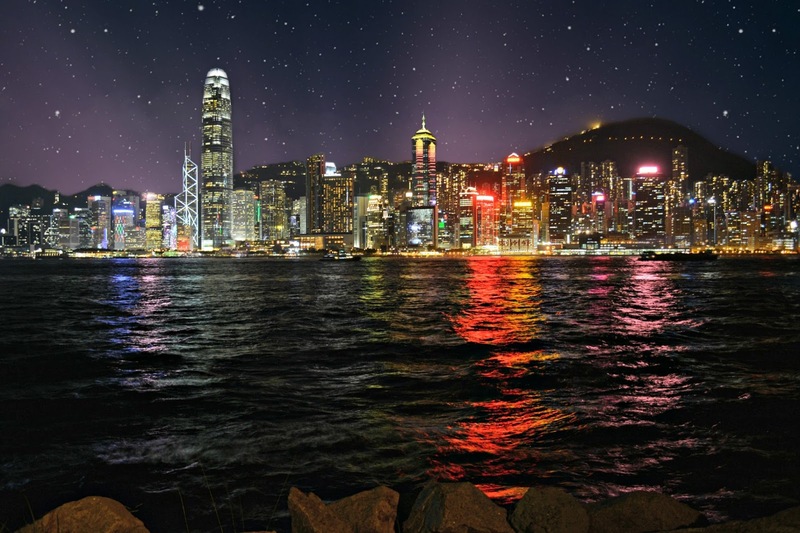 I was very excited to be travelling back to Hong Kong for the second time this year. Back in California, I frequently overlooked doing certain activities because I thought I would always have the opportunity to go. Things such as hiking to the Hollywood sign... I've never done that! That seems to be an iconic thing to do in LA. I mean everyone talks about going to LA and hiking to the Hollywood sign. I did not want this to be the case with Hong Kong. Although most of this trip to Hong Kong was spent finalising my paperwork to get back into Australia, I was able to appreciate some of what Hong Kong has to offer. As per usual, I did a lot of walking around the Elements building in Kowloon. During the summer months, the park near the Elements buildings puts on free events for locals. When we went to the event, there was a skateboarding competition as well as heaps of booths that had clothes, food, and crafts. Every night, there is a choreographed light and music show on the ICC building and the buildings that make up the Hong Kong skyline. The ICC building lights up at 7:45 and 9:00. Shortly followed by A Symphony of Lights at 8:00. A Symphony of Lights holds the record for "World's Largest Permanent Light and Sound Show" by the Guinness World Records. There are various radio stations or telephone numbers that allow access to the music in a variety of languages. Hong Kong is also home to Hong Kong Disney. For those who may not know, I am a Disney fanatic! With all the outside stressors really starting to take a toll, Disneyland was the perfect place to relax and put me in a happy place. In case you're wondering, not all Disney parks are created equally. Each has its own unique identity that helps make each Disney experience different and memorable. One of the biggest noticeable differences was that Hong Kong Disney is much smaller than Disneyland and DisneyWorld. With how busy it was, the smaller park worked to our advantage. I would have been really disappointed if I couldn't go on all the rides. I was really looking forward to going on the Haunted Mansion but this ride did not exist. Instead, Mystic Manor was the Haunted Mansions counterpart. This ride is located in Mystic Point (also not a land in the American Disney's). It was actually pretty freaking cool. I even jumped a few times. Another awesome ride was the Big Grizzly Mountain Runaway Cars. We went on it a few times because it was so much fun! I was also super impressed with the Toy Story Land. Like other Disney parks, you become completely engulfed in the land you're in. It really was the perfect way to spend the day! You're never too old to have an imaginary tea party with Alice! Anytime we go to Hong Kong a majority of the trip tends to revolve around eating. Don't get me wrong I LOVE food! But having food allergies (pork, fish), I sometimes worry what's in the food I'm about to consume. The other devo part about having pork as a food allergy is that I miss out on the amazing dumplings in HK. Why are there not beef dumplings? WHY??? One of the biggest things I've missed about America is Sunday Brunch. Oh Hong Kong, you did not disappoint when it came to Sunday Brunch. We had one of the most amazing brunches I've had in a really long time. Not only was the food incredible, the view of the city was amazing! Unlike some of the brunches in the states, there were not little kids running around and screaming. It was extremely pleasant. I know there is still heaps for me to do in Hong Kong. 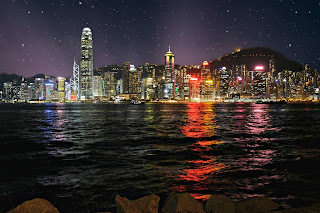 Hopefully, I will be able to return to Hong Kong to explore some more. Going to the top of the peek on a clear day is definitely at the top of my list. 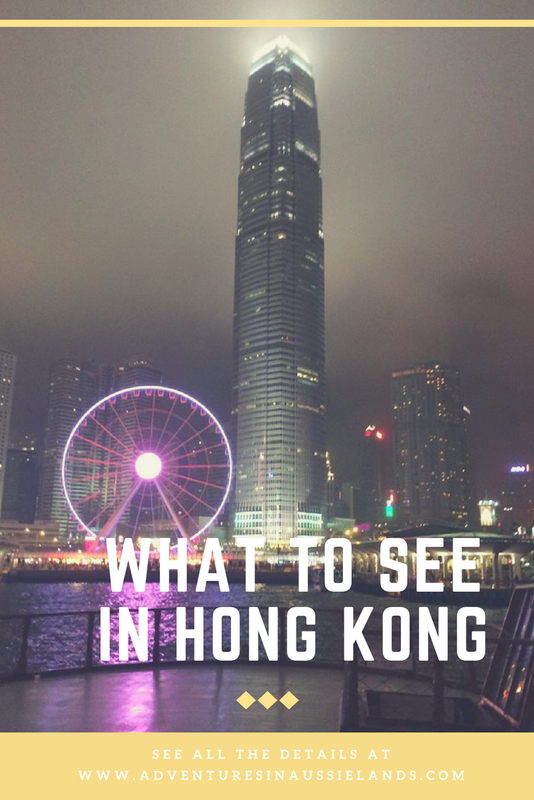 Have any suggestions of what to see in Hong Kong? Let me know in the comments below! If you're curious as to what I did on my first trip to Hong Kong be sure to read: Gong Hey Fat Choy.